Well, I guess it is only fitting that while being inspired by a failed experiment, I have my own failed experiment. I was sure that beets would yield a beautiful red on some wool yarn I had. I scoured all my dyeing books to find a recipe of how to dye with beets and not one book mentioned beets. I should have taken that as at least an odd thing, let alone a big red flag. 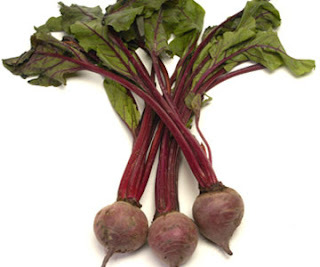 But no, I went ahead and boiled the beets to get a wonderful red dye bath. I put my mordanted yarn in and let it soak. The yarn turned a great vivid pink. Then when I began rinsing the yarn, every bit of red rinsed away. Apparently, beets are not colorfast no matter what. See my beet dyed yarn? Just a dingy off-white (slightly more dingy than the off-white that the yarn started as). So, I think I will have to give up on my idea of dyeing with beets and just use some great red yarn I have in my stash.